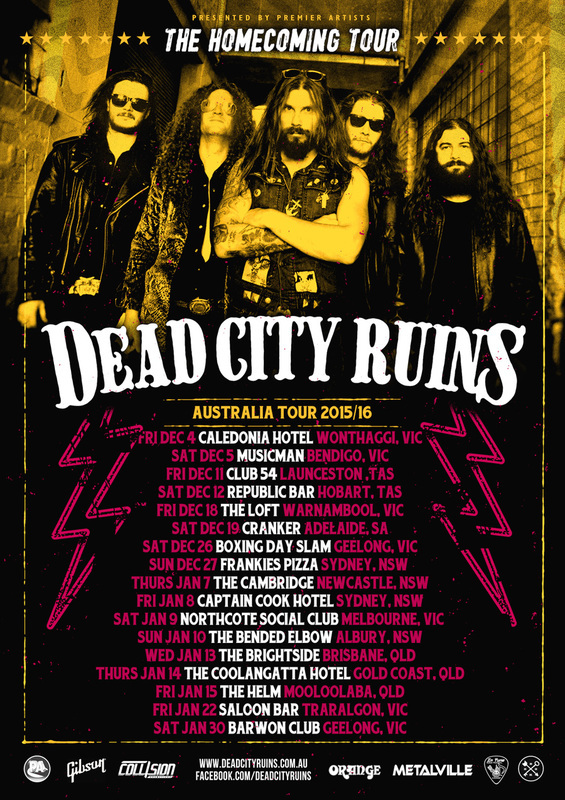 ​Melbourne’s premiere hard rockers, Dead City Ruins will be returning home for a massive national tour at the end of the year! Having been based in Europe for most of the 2015, playing countless shows to thousands of people, they are preparing for a 17 date run around the country. The band were personally invited by Skid Row & UKJ to join them on their 2014 Australian tour. The band also headlined their own Indonesian tour in November of that year.